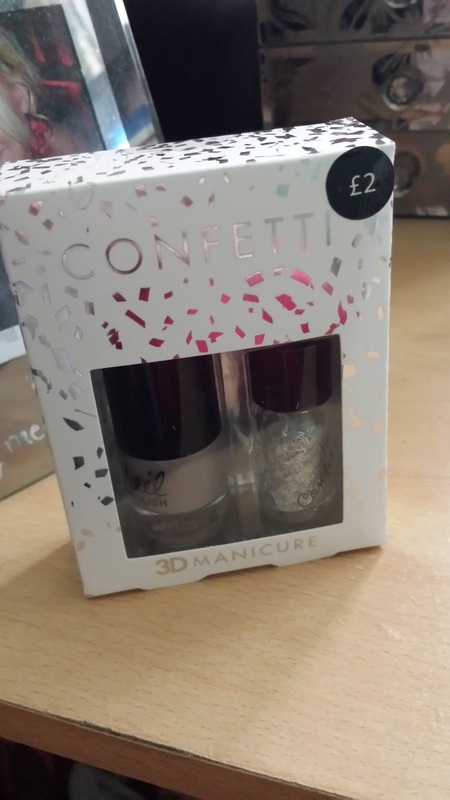 Make your nails sparkle with Primark’s Confetti nail kit. The bargain set is good for any pocket at the small price of £2 and will give you a alternative look that will have people going ‘wow’. 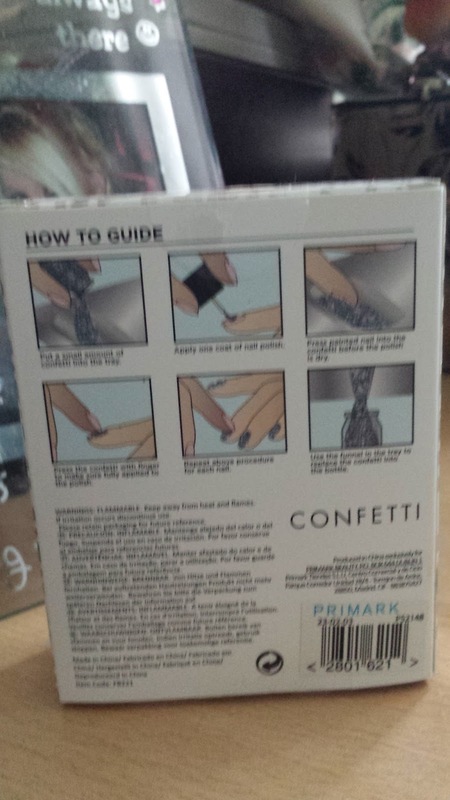 The set has a light brown/purple nail varnish, a pot of glitter confetti shreds and a tray to put the contents in. To prepare I took the glitter confetti and poured it into the tray which had been especially designed for its use. 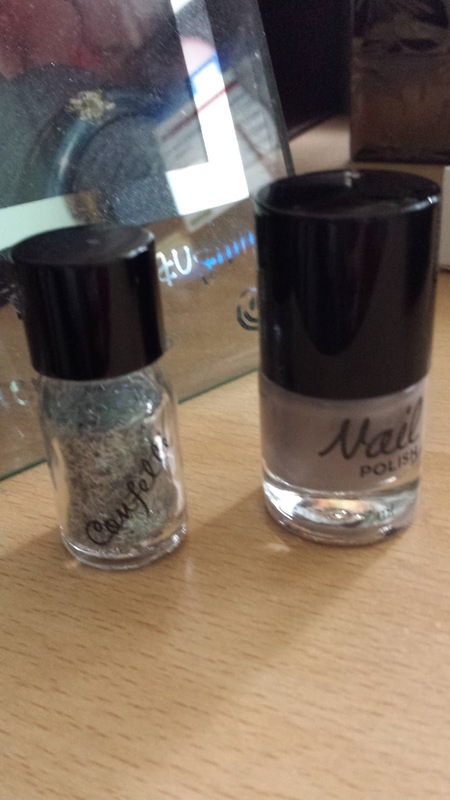 I painted my nails with the colour and then quickly dipped my still wet nails in the glitter tray. I shook off any excess back into the tray and then let my nails dry. The instructions on the back make it really easy to use and by following the steps you’ll have a 3D effect in no time. 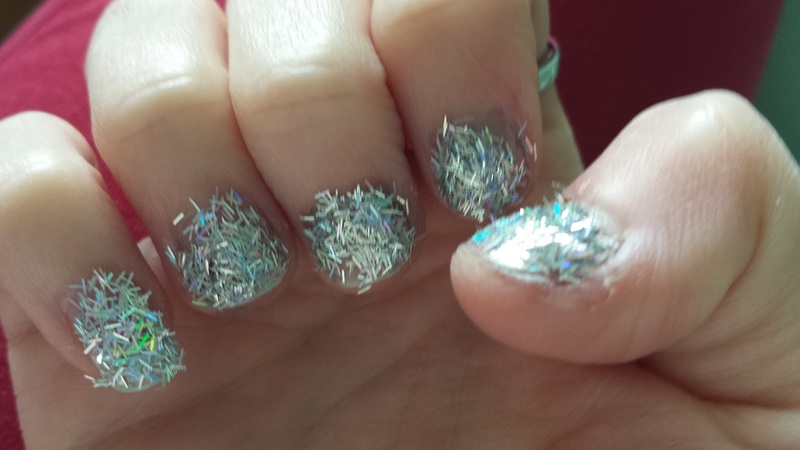 With both painting and applying the glitter it probably took me 10 minutes for both hands. Obviously as you can imagine it is glitter so you will get a LOT of excess glitter falling on the floor, on your jeans…etc you get the picture. The conffeti look is great for a night out or a hot date but not so good for day to day use. Grab it at the bargain price of £2! Your nails will sparkle the night (or day) away! Previous Post Are your features drowned out by your glasses? Use these fantastic tips to make your makeup centre of attention!